The Supermicro 2028U-TR4T+ Ultra SuperServer is a 2U Rack Server with Redundant Power Supply, 24x 2.5" SATA Hot-Swap Bays and Integrated Quad GbE. 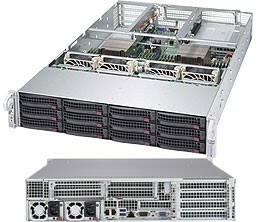 The Supermicro 2028GR-TRH SuperServer is a 2U rack server with 2000W redundant power supply, and the ability for 6 NVidia or Xeon Phi GPU cards. The Supermicro 2028U-TNRT+ Ultra SuperServer is a 2U Rack Server with 24x 2.5" SATA/NVMe Hot-Swap Bays, Redundant Power Supply, and Integrated 10GbE. 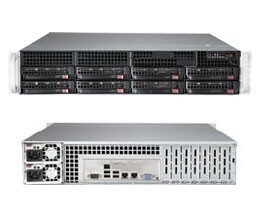 The Supermicro 6028R-TR SuperServer is a high-end server comprised of two main subsystems: the SC825TQ-R740LPB 2U chassis and the X10DRi-/X10DRi-T dual processor serverboard. 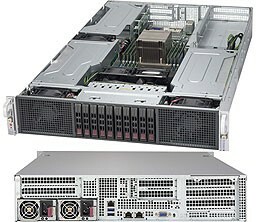 The Supermicro 2028GR-TR SuperServer is a 2U Rack Server with Redundant Power Supply, and the ability for 3 Nvidia Tesla or Xeon Phi GPU cards. 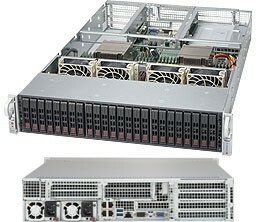 The Supermicro 6028R-WTRT is a 2U Rack Server with Redundant Power Supply, Integrated 10Gb Ethernet, and 8x High-Capacity 3.5" SATA/SAS Hot-Swap Bays. 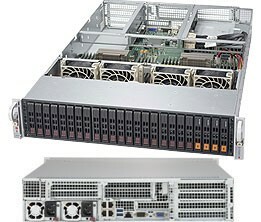 The Supermicro 6028R-WTR is a Dual Intel Xeon E5-2600 v3 Series 2U Rack Server with Redundant Power Supply, and 8x High-Capacity 3.5" SATA/SAS Hot-Swap Bays. The Supermicro 6028U-TRT+ Ultra SuperServer is a 2U Rack Server with Redundant Power, 12x 3.5" SATA Hot-Swap Bays, and Integrated 10GbE. The Supermicro 6028U-TNR4T+ Ultra SuperServer is a 2U Rack Server with Redundant Power Supply and12x 3.5" SATA/NVMe Hot-Swap Bays. 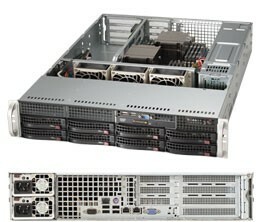 The Supermicro 6028U-TR4+ Ultra SuperServer is a 2U Rack Server with Redundant Power, 12x 3.5" SATA Hot-Swap Bays, and Integrated Quad GbE.